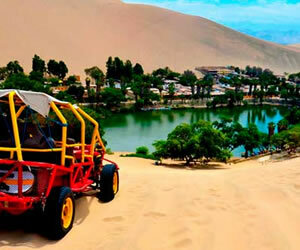 Arequipa is a city in southern Peru and the nations second most-important city. The city stands at the foot of the Misti volcano in the highlands. Arequipa has many fine colonial/Spanish buildings built of sillar, a pearly white volcanic rock used extensively in the construction of the city, from which it gets its nickname La Ciudad Blanca (the white city).. 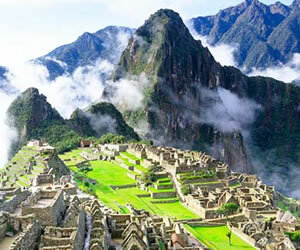 It is often said that the citys name comes from the Quechua phrase Ari, quepay which means Yes, stay. Nowadays one assumes that the name is from Aymara ari (peak) + kipa (locative) and means something like near the mountain. 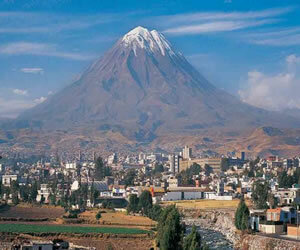 Arequipa is situated has been occupied back to 5000 - 6000 BCE. In the15th century, the region, then occupied by Aymara Indians, was conquered by the Inca and served as an important supplier of agrarian products to the Inca empire. The modern city of Arequipa was founded on august 15th by Garci Manuel de Carbajal, an emissary of Spanish conquistador Francisco Pizarro. As the second largest city in Peru, Arequipa is influenced by both Andalusian and Spanish Colonial ideas and architecture, such as the popular Santa Catalina Monastery, the Goyoneche palace and the Casa de Moral. Arequipa has many valuable archaeological and touristy resources including the Colca Canyon, one of the deepest canyons in the world and an ideal spot for observing the magnificent Andean Condor..Nicknamed the white city, Arequipa is surrounded by spectacular mountains, including the volcano El Misti. A fascinating feature of the city is its many beautiful buildings made of a light-colored volcanic rock called sillar. The City Tour of Arequipa is a great way to get to know the impressive beauty of La Ciudad Blanca, the White City. The tour includes sites such as the church and square of San Francisco, dome of La Compañía de Jesus, colonial homes, the Plaza de Armas and the unforgettable Convent of Santa Catalina, characterized by its narrow streets and different styles and famous in the 16th century. The Convent of Santa Catalina, perhaps the most fascinating colonial religious building in the country, was until recently home to almost 450 nuns. Our City tour includes all the major sights of Arequipa as well as a visit to Santa Catalina convent and the museum of the "Ice Maiden" Juanita. Mirador de Yanahura: It is located a 2 km to the center of the city , with the same name district, have beautiful and older streets and in the highest is located the main square and the famous church. 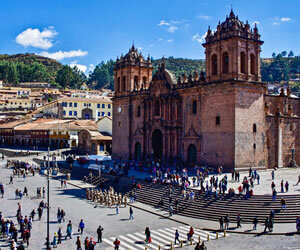 Paucarpata: at 7 km from the city center, where you can see incas's scaffold, their churches have pictures of the Cusqueña college. In this place happened the meeting for the peace entrance of Chile army in 1879. Place for entertainment, you can find typical arequipean restaurants.Molino de Sabandía: To 10 km of the city , beautiful field based of volcano: Chanchani, Misti y Pichupichu, Unique and farmer town with incas's scaffolds, with a lot of manantials. This is a place with good weather, sun and fresh air and the Molino de Sabandía is in the middle of all, it was created in 1,622 and restructured in the 70's by the Hipotecario Bank of Perú. The Molino work for the hydraulic force of the little river. La via Paisajista: Since de City of Arequipa until Tingo you can see a lot of the field special the district of Socabaya. 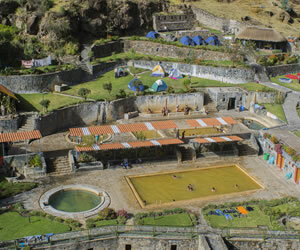 Places like Huasacache and pampas del Cusco you can see the river Postrero. Huasacache: Place located in Socabaya border river, there is a viceroyal big house named Mansion del Founder, was constructed in XVIII century Santa Catalina's Monastery: It is the most important and impressive monument religious construction of Perú. Founded on september 1579, for Santa Catalina de Siena vocation, it was close until 1970. It has a 20,426 m2 , it has the characteristic of the century XVI and XVII, it's narrow streets, gardens and squares have Spanish names and remind the old neighbourhood of Granada and Sevilla.